A road trip is a quintessentially American experience—especially if it involves a drive through the storied terrain of the Wild West. Taking I-80 east to west across Wyoming, the vast expanse and rugged landscapes of the state unfurl in spectacular fashion, while pit stops in small towns and urban hubs break up the drive and ramp up the fun. You’ll see geological sites, soak up Western culture firsthand and trace the historic path of the Union Pacific Railroad. Driving across Wyoming isn’t just a way to get from here to there: It virtually beckons for exploration and adventure. Looking to fill out your road trip even more? Don’t miss the opportunity to veer off the main route. We’ve listed scenic byways and three classic north-south routes to see even more of the state as you make your way across, organized by the nearest city. Kick off your trip by swinging through Wyoming’s capital and getting a crash course in the culture and history of the great state you’re about to drive across. The Wyoming State Museum highlights important human-impacted historical events and the natural history of Wyoming. This route traces I-25 before veering west and is easily accessible from Cheyenne. From state parks to vineyards to natural geological wonders, there’s plenty to choose from along this stretch to Yellowstone National Park’s east entrance. Some of the dozen suggested stops along the trail include the Cheyenne Botanic Gardens, Ayres Natural Bridge and the Wyoming Dinosaur Center. Explore the Ames Monument in Buford. Certainly not what you expect to see in the middle of Wyoming, this 60-foot-high granite pyramid known as the Ames Monument, also known as the Ames Brothers Pyramid, was built by the Union Pacific Railroad and designed by renown architect Henry Hobson Richardson (one of his biographers even described it as “perhaps the finest memorial in America … one of Richardson’s least known and most perfect works.”) Back in the day passengers could get off the train and explore the site while waiting for engines to be switched out. The Lincoln Highway was the first coast-to-coast highway in the United States, and you can still ride a section of this historical route by following US-30 signs toward Medicine Bow. Be sure to take Exit 323 to take a photo with the grand Lincoln Monument. Outdoor recreation opportunities abound in the million-acre Medicine Bow National Forest, accessed from Laramie via WY-130 or WY-230. Explore the Medicine Bow Mountains and Snowy Range and enjoy the camping, fishing and hiking this area has to offer. Built in 1868, Fort Fred Steele was built to protect the Union Pacific Railroad and its workers during the railroad’s initial construction. Take a self-guided tour to see what remains of the original buildings and learn about the fort’s role in Wyoming history. Sagebrush, sand dunes and pronghorn are all iconic reminders that, yes, you’re still in Wyoming. All of these icons can be found in abundance at Seminoe State Park, a must-stop along I-80. Camping and boating are permitted throughout the park, and water access includes the Seminoe Reservoir and the North Platte River’s “Miracle Mile”, named for its world-class fishing. Built in the late 1800s, Wyoming’s first state prison is now a museum on the National Registry of Historic Places. Take a walking tour, explore the grounds and learn about the history of this prison that housed some 13,500 inmates throughout its operating years and later was a filming location for one of Viggo Mortensen’s first movies. This stunning route can be picked up in Lander on I-287. A hands-down hit for mountain lovers, the route showcases the Wind River Range, Snowy Mountains and Tetons. Get off the highway near Rock Springs to see a variety of wildlife. Rock Springs was a transit hub for the Union Pacific Railroad. The Union Pacific Depot was built in 1900, and it now provides a fascinating peek into the lives of immigrants and other settlers who moved to the American West to start a new life. Access to recreation-rich Green River can be found between Rock Springs and Fort Bridger. Don’t miss the Pilot Butte Wild Horse Scenic Loop, where about one-third of Wyoming’s wild horses are managed. Looking for another scenic detour? The Flaming Gorge-Green River Basin Scenic Byway is 100 miles of red rocks, gorges and Wyoming peaks. 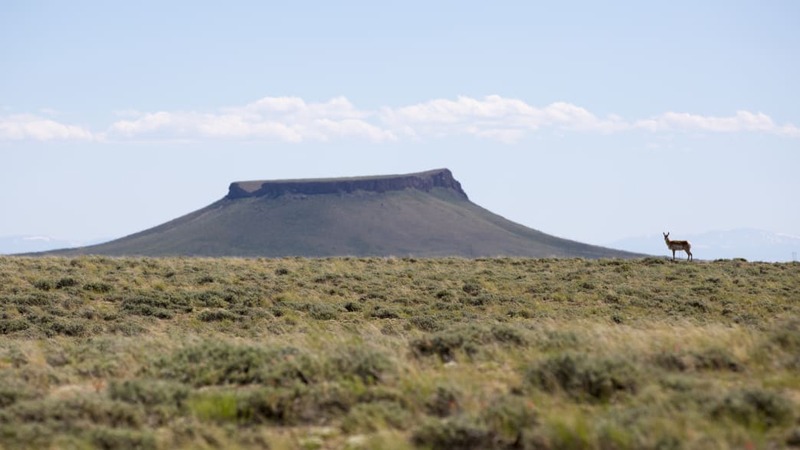 This site was once a temporary home for prehistoric travelers, then as corrals for early settlers. These are also the only ice caves in this region, with ice coating the cave floors through most of the year. Originally a supply stop on the Oregon Trail, this site is now used as a museum and is a designated Wyoming Historical Landmark. You’ll find several buildings restored as they were when it was a military outpost, as well as a museum in the stone barracks building that dates back to 1888. Take a few hours to explore the Bridger Valley Historic Byway, which is 20 miles packed with history at the intersection where the Oregon Trail, the Mormon Trail, the Pony Express Route, Transcontinental Railroad, Old Lincoln Highway and US-30 all met. Take Exit 34 off of I-80, and you’ll get back on the highway at Exit 48 after completing the route. It might be called Bear River State Park, but it’s also a prime spot for spotting bison. This park is prime for stretching your legs on a walking path, taking the bike out for a spin or snapping photos of the elk and bison that call this place home. Three miles of paved trails are accessible and convenient, and picnic areas are the perfect spot for a lunch break. Another building that illustrates the rich history of the Union Pacific Railroad, this is the only complete roundhouse that remains on the old Union Pacific line between Omaha and Sacramento. Dedicated in 1871, the Roundhouse and turntable were built to service large steam engines, and the building was operational until 1971. After that, it was used as a repair station until 1998. Following renovations between 2005 and 2009, the building now serves as an event space. 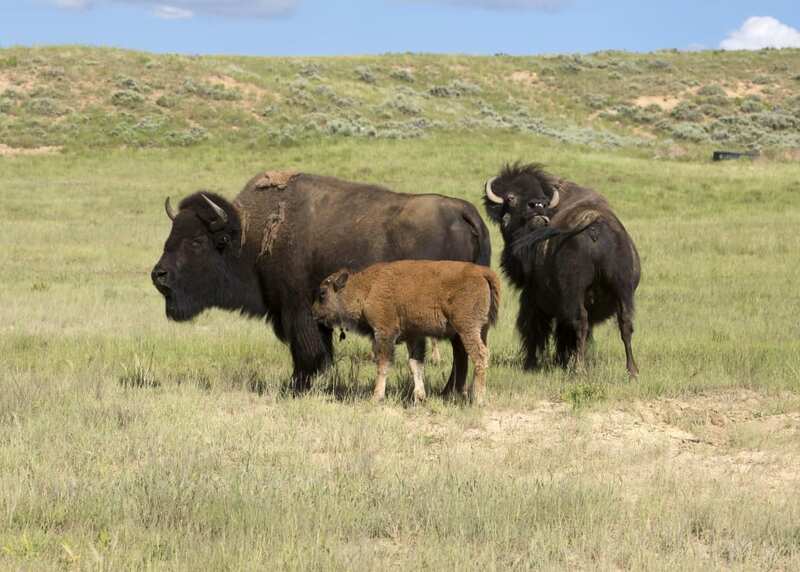 This culturally rich drive can be picked up at the Evanston Downtown Visitor Center before hopping onto WY-89 and moving north to Yellowstone National Park’s south entrance. Highlights along the way include national monuments, art museums, natural beauty and historical sites. And, if you’re not quite ready for the adventure to end, pick up yet another scenic byway into Star Valley. Written by Matcha for Wyoming Board of Tourism.